Users of WhatsApp worldwide are complaining that the mobile messaging service is down. The smartphone app uses symbols to inform users of how the transmission of their message is doing. Worldwide, users are being shown the clock symbol after attempting to send a message, meaning that the message hasn't been sent to WhatsApp's servers.The website for the messaging app also appears to be down in what may be a domino effect.If a significant problem has affected WhatsApp's messaging servers causing the message issues, the resultant world-wide concern may have caused so much traffic to visit the website it has fallen down.The outage may be an embarrassment for WhatsApp's parent Facebook, which has this week announced record revenues from advertising. 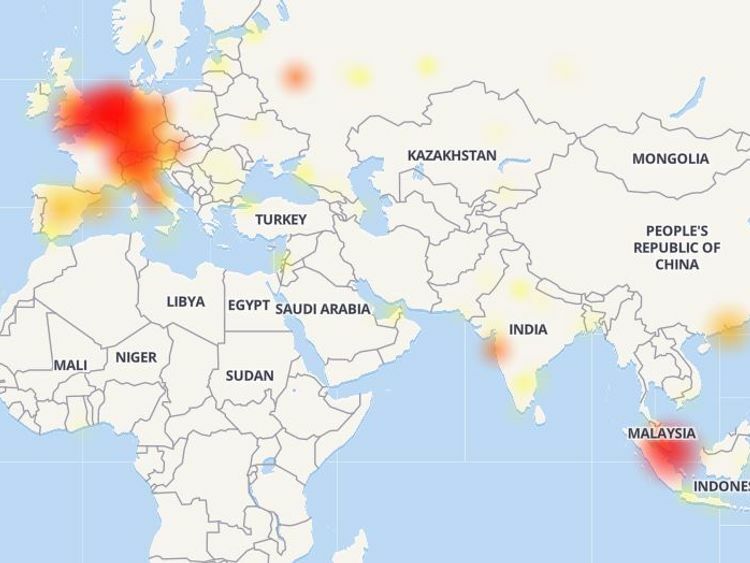 Facebook declined to comment to Sky News when contacted.The Down Detector website's heat map showed reports were especially common in Europe, although complaints on social media came from people located worldwide.